Under what circumstances may a policyholder recover benefits under the Insurance Code? This is a high-stakes question in Texas insurance law because recovery under the Insurance Code can potentially treble (triple) normal contract damages. With USAA Texas Lloyds Co. v. Menchaca, No. 14-0721, 2017 WL 1311752 (April 7, 2017), the Texas Supreme Court aims to resolve what it calls “substantial confusion” over its prior rulings on this issue. This confusion stems from two particular Texas Supreme Court decisions and their progeny: Vail v. Texas Farm Bureau Mutual Insurance Co., 754 S.W.2d 136 (Tex. 1988) and Provident American Ins. Co. v. Castañeda, 988 S.W.2d 189 (Tex. 1998). In Vail, the Court appeared to allow recovery of wrongfully-denied benefits based on either the Insurance Code violation or the policy breach, stating that a carrier’s wrongful denial “causes damages as a matter of law in at least the amount of the policy benefits wrongfully withheld.” But in Castañeda, the Court found that a policyholder could only recover benefits under the Insurance Code if the carrier’s conduct caused some injury “separate and apart from” the injuries caused by the wrongful denial itself (i.e. “independent injury”). This “independent injury” language resulted in a widespread belief that Castañeda had implicitly overturned Vail. Even as recently as 2015, the Fifth Circuit opined in In re Deepwater Horizon that the two cases laid out opposite rules and that Vail’s viability was in doubt. The In re Deepwater Horizon court certified a question to the Texas Supreme Court on whether an insured must prove independent injury in order to recover benefits under the Insurance Code, but the case settled before it could be answered. In Menchaca, the Court took the opportunity to speak on Vail, Castañeda, and similar first-party cases. In this case, the insured’s home was damaged by Hurricane Ike. The insured made a claim on her homeowners policy with USAA. USAA denied the claim twice. Menchaca sued for breach of contract and Insurance Code violations. The jury found that USAA did not breach Menchaca’s policy. But it also found that USAA violated the Insurance Code by failing to conduct a reasonable investigation before denying the claim and awarded the same amount of damages that would have been owed had USAA covered the claim. The trial court entered judgment for Menchaca (disregarding the jury’s finding of no breach) and the court of appeals affirmed. (1) The General Rule: An insured may not recover policy benefits for an insurer’s statutory violation if it has no right to those benefits under the policy. (2) The Entitled-To-Benefits Rule: If an insured establishes a right to receive policy benefits, it may recover those benefits as actual damages under the Insurance Code if the insurer’s statutory violation caused the loss of the benefits. The Court stated that this was the rule recognized in Vail. (3) The Benefits-Lost Rule: Even if the insured has no present contractual right to policy benefits, it may recover benefits under the Insurance Code if the insurer’s statutory violation caused the insured to lose that contractual right. (4) The Independent Injury Rule: If the insurer’s statutory violation causes an injury independent from the loss of policy benefits, the insured may recover damages for that injury even if it has no right to benefits under the policy. (5) The No-Recovery Rule: An insured may not recover damages for a carrier’s Insurance Code violation if the insured had no right to receive benefits and sustained no independent injury. The Court found that the trial court erred in disregarding the jury’s finding of no breach. Notably, under these five rules, the finding would have precluded Menchaca from recovering policy benefits under the Insurance Code. Under these rules, a policyholder’s right to recover benefits under the Insurance Code hinges on (1) whether it is entitled to benefits under the policy; and (2) what caused its damages. In other words, an insured must show not only that its carrier violated the Insurance Code, but that this violation (rather than the breach of contract, if any) caused its damages. This is fairly straightforward with regard to Rules (3) and (4). But causation is less clear in the situation posed by Rule (2) where a statutory violation and a policy breach caused the exact same damages (i.e. the loss of benefits). 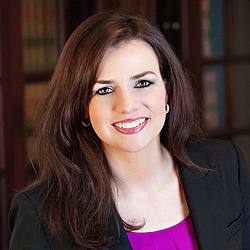 Although it affirmed that Vail is still alive and well in the form of this Rule, the Court did not expland on how an insured can establish the requisite causal connection between the statutory violation and damages in this situation. Thus, while it has provided significant guidance, Menchaca can be expected to generate a new crop of litigation centered on this issue of causation. In re Deepwater Horizon, 807 F.3d 689, 698 (5th Cir. 2015), certified question accepted (Dec. 4, 2015).